SIXTH ANNUAL The PowTown GetDown Radio Show FALL GANJA HARVEST PODCAST SPECIAL livicated to Gayle Quin. TWO hours of ganja #reggae with tunes from Dub Kartel EBM Earth Beat Movement SizzlaLeah Rosier Jamhorns Live The Movement Inna Vision Mixed Culture The SteadyTones Simple Creation Fortunate Youth and more!! PODCAST!! The Pow!Town GetDown Radio Show with DJ Triple Dub aka dubcomandante Keida the senior allstars Ky-mani Marley Slightly StoopidJashwha Moses Sea B HEMPOLICS Reya Sunshine Music The ExpandersBim One Production Mungo's Hi Fi Tanto Metro and Devonte The Official Keith and Tex Reggae Rajahs and more!!! ‪#‎FourTwenty‬ Podcast!! The Pow!Town GetDown Radio Show with DJ Triple Dub aka dubcomandante featuring two hours of ganja ‪#‎reggae‬ with joints fromJ Bostron with Stick Figure, Seed Organization, Dub Kartel, BURNT. and more!! 420 Ganja Reggae and Record Store Day Special! With joints fromRocker Tee, The Mighty Mystic, Mungo's Hi Fi, Deliman, Sister Carol, TheDirty Dubsters, Peter Tosh, and more!!! Vinyl and digital! Celebrating court victories for medical marijuana providers, Powell River Spot Prawn Festival, Spacious at The Lund Gazebo and scores from our local record store Roxy Records! 420 GANJA REGGAE SPECIAL!! 2 Hours of Roots Reggae laced with marijuana in celebration of the holiday for JAH's sacred herb! The Healing of The Nations!!! The true Tu Sheng Pen! 3 HOUR 420 GANJA REGGAE SPECIAL!!! 4/20 is an international day of celebration for the Cannabis Culture. While i was recording this on community radio, thousands were in the streets singing, dancing, protesting, speaking and toking. 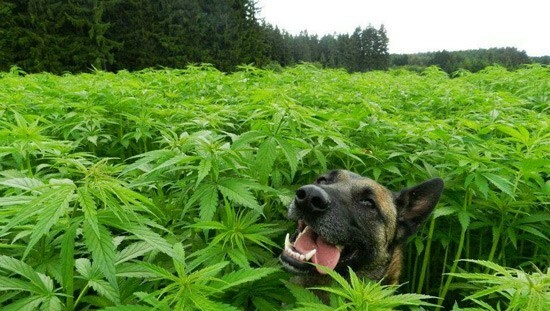 The drug war is over, The Man lost, and the plant has won!